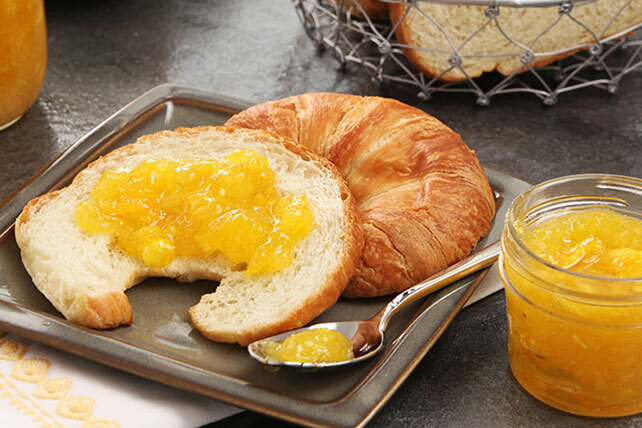 Making this easy, no-cook freezer jam is a great way to preserve sweet, ripe mangos for year-round enjoyment. Rinse 6 clean plastic containers and lids with boiling water. Dry thoroughly. Peel and pit mangos. Mash fruit. Measure exactly 3 cups prepared fruit into large bowl. Add lemon juice and sugar; mix well. Let stand 10 min., stirring occasionally.